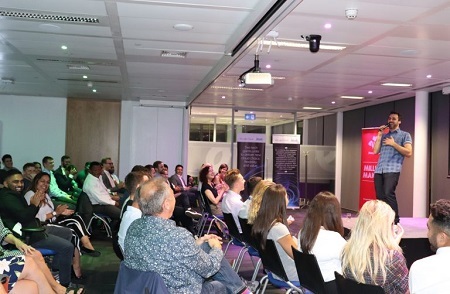 This year’s Million Makers team successfully hosted its first comedy night on Wednesday 19 September at the company’s UK&I London headquarters. The charity event received a great reaction from the crowd as they got to see some award-winning comedians perform, some of which were fresh from the Edinburgh Fringe Festival and a few who have also performed at Live at the Apollo, such as Joe Bur, Gordon Southern (MC), Patrick Monahan and Jenny Collier. A great turnout of employees with their friends and family helped raise a healthy total from the event which will help the Prince’s Trust transform the lives of disadvantaged young people.